We checked into The Chronicle after a long day of travel, meetings and networking. And of course, the first impression came from the reception – instead of usual reception politeness, we were truly, cordially welcomed. It was more than customer service, it was a welcome from a friend who is genuinely happy to have you there. It does make difference, doesn’t it? 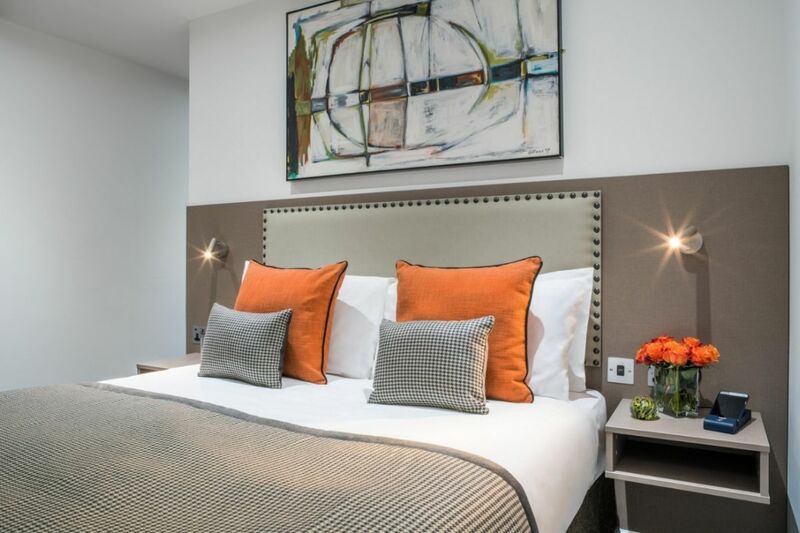 The Chronicle is set in the heart of London, only a short walk away from London’s top law firms and the historic River Thames and features 53 luxury apartments, two floors of offices and an on-site gastropub. Managed by Super City, The Chronicle is an amazing new option for corporate travellers visiting London. 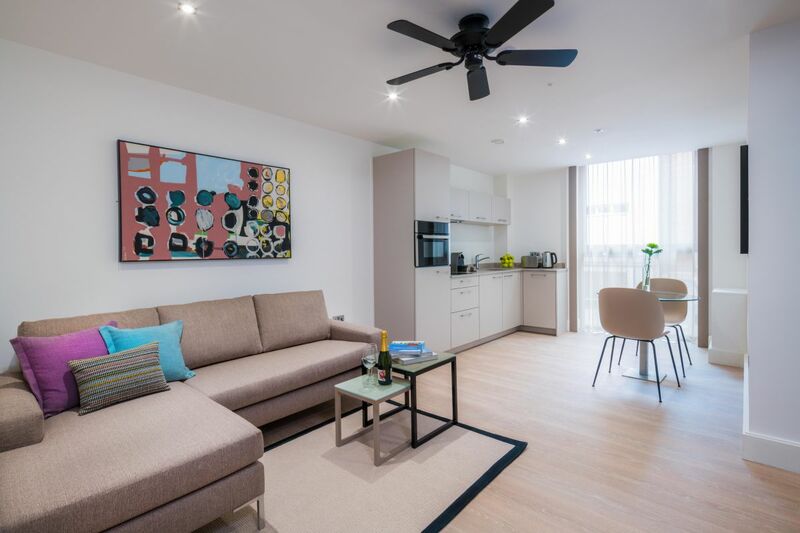 It gives you quick access to parts of the City of London and with only a short walk away from tube stations for Circle line and Hammersmith and City you can quickly get around to the other parts of the city. And while being so central, apartments with luxury yet simple and cosy interior makes you feel at home and welcome. My colleague and I had a spacious two bedroom apartment to ourselves, with one en-suite bathroom and a fully equipped kitchen. Talk about fully equipped, The Chronicle is all about little details that create comfort such as a cappuccino milk frothing whisk, adding just a bit more joy to your morning coffee. Attention to details and modern technology was what set The Chronicle apart from most of the corporate accommodations I’ve ever stayed in. Our two bedroom apartment had three TVs one in each bedroom and one in the lounge. It might sound like not a big deal, but if you are sharing an apartment with a colleague for a long time, you don’t want to use your negotiation skills to grab the remote do you? Very small details can become an issue when people live together and sharing with a colleague is a very delicate matter. 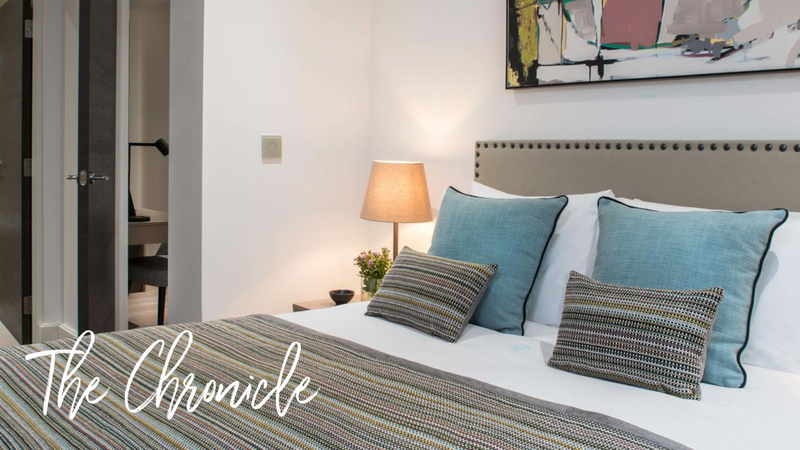 The Chronicle makes sure everyone has enough privacy even when the apartment is shared, yet a comfy lounge where you can sit and talk, relax or work is there for both to enjoy and share. I think the designers really thought about what makes teams stronger, what unites colleagues and which details are essential for privacy and comfort. The smart use of technology was another feature that sets The Chronicle apart. 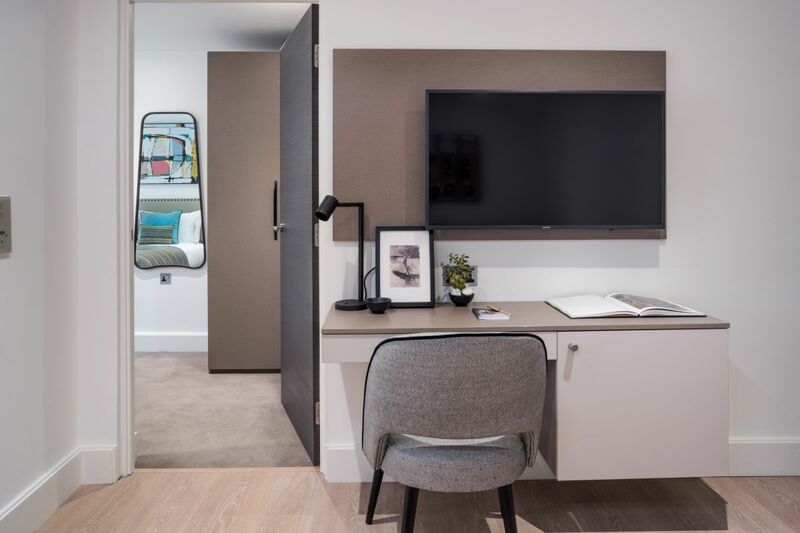 Small light switches controlled the lights in the apartment based on movement or the time of the day, while tall windows that brought light and air into each room, could easily be shaded with, making your bedroom cosy and private. And last but not the least – location, location, location. As mentioned above, the tube is only a stone throw away and you have easy access to the business part of London. But for those staying there for longer than a few days, there are so many benefits. Leather Lane, a food market is within a walking distance; and you can also shop on One New Change, one of the best shopping streets in London. You can take a walk to Covent Garden, see St Paul’s Cathedral, or visit the Museum of London. There’s a burger bar, amazing coffee shops, some fine dining options and hip bars around. All in all, SITU is very pleased to have The Chronicle added to its supply chain. And we are sure our guests will find the stay as pleasant as we did.